If you have a position that you would like posted please contact: kathy@ontariodirectors.ca. A unique opportunity for a visionary senior educator to build upon a supportive culture of inclusion and collaboration, and lead the way in ensuring that the Thames Valley District School Board can "build each student’s tomorrow, every day”. Thames Valley District School Board (TVDSB) is one of the largest boards of education in Ontario, covering Elgin, Oxford and Middlesex Counties and including the City of London. With approximately 74,000 students, more than 7,600 teachers, principals and support staff, and an operating budget of $900 million, the Board is also one of the largest employers in southwestern Ontario. TVDSB is known for its innovative, progressive approaches, responsiveness to students’ needs, positive learning spaces and welcoming environment, and seeks a forward-looking Director of Education who can adapt effectively to the changing landscape of education and implement initiatives that will take the Board into the future. This pivotal mandate calls for a leader who is passionate about public education, community engagement and student success, has experience with cutting-edge instructional practice, and is committed to the continuous improvement of student learning and well-being with a K-12 focus on global competencies. As such an individual, you are prepared to establish a proactive communication strategy that will build on current positive relationships with a wide variety of stakeholders – from staff, students and parents, to Trustees and unions, to FNMI communities and newcomers. As the new Director of Education, you welcome the challenge and opportunity of putting in place sound curricular and program strategies to meet the evolving learning needs of TVDSB’s dispersed rural and urban communities, at a time when increased levels of migration and immigration in the region are dramatically shaping the size of the school populations served by the Board. This role will benefit from your strengths as an advocate for innovation in education, including effective and proactive use of new and emerging technologies, and your demonstrated political acumen in championing good governance by working with, and supporting, a Board of Trustees in an open, transparent and trusted relationship. The Board will look to you, as you transition successfully into this high-impact and highly visible role, to build trust and credibility with all interested parties, further enhance the TVDSB culture of inclusion, evaluate and optimize the allocation of resources across the Board, as well as unite the senior leadership team and maximize its contribution to the overall success of the Board. With a history of success combining Supervising Officer papers with a preferred 3 years of system leadership working within a school board, you are adept at holding yourself and others accountable for actions and deliverables, as well as building a vision and executing a strategic plan for an organization. Your demonstrated prowess in large system financial accountability dealing with complex issues will also prove invaluable in this role. You are a servant leader, confident, clear, open, responsive and empowering, recognized for your high visibility, invitational leadership, high emotional intelligence and, most importantly, your capacity to listen and engage with those inside and outside the Board, who offer many diverse perspectives. At the same time, you have a track record of building staff capacity by providing opportunities and strong mentorship, of winning the respect of students and staff through empathetic, consistent leadership, and of employing inclusive decision-making strategies as you anticipate issues and engage senior leadership in resolving problems. Above all, you are a confident manager of change, able to inspire and motivate the senior management team, making appropriate adaptations to both structure and processes to address emerging issues and contexts. Having worked successfully engaging parents and stakeholders in diverse communities, both rural and urban to enhance student success and wellbeing, you are both highly committed to equity and inclusion, addressing the needs of diverse communities, including FMNI and are conversant with successful interventions to combat inequities. To be considered for this senior mandate with organization-wide impact and accountability, please send your resume, in confidence, specifying the job title in the subject line of your email, by April 17, 2019, to careers@phelpsgroup.ca. Download the job posting in PDF format. The positions are being advertised internally and externally. Applications are invited from dynamic leaders who hold Supervisory Officer qualifications in Ontario, or are currently enrolled in the Supervisory Officer’s Qualifications Program and plan to complete certification within two years of date of appointment. The appointments begin August 1, 2019. The person filling in for each position will work as part of a team of Superintendents to provide leadership and direction for our school system. Restructuring of senior staff portfolios is currently under review. Responsibilities will include areas of instructional leadership, supervision of schools, as well as system responsibilities. An understanding of both, elementary and secondary panels would be beneficial. In the selection process, consideration will be given to each applicant’s professional and academic qualifications and to the variety and scope of their professional experiences. Consideration will also be given to interpersonal skills, organizational and management abilities, problem solving capacity and communication skills. Included with the letter of application shall be a detailed personal vita, a one page statement of the applicant’s philosophy of leadership, a self-evaluation of strengths and capabilities, and names and authorization to contact three references. As part of our commitment to diversity and inclusion the Greater Essex County District School Board welcomes and encourages applicants from a broad range of cultural, ethnic, racial and gender identities, as well as from people with disabilities to apply and self-identify. We will make the necessary accommodations for applicants to support all aspects of the recruitment process under AODA. Please contact the Human Resources Department if you require assistance with any accommodations. Download the full job posting in PDF format. The York Catholic District School Board (YCDSB) is a Catholic Learning Community of collaborative partners which services approximately 55,000 students from K to Grade 12. It is comprised of 87 elementary schools and 15 secondary schools located throughout the Regional Municipality of York. The Board offers extensive Special Education programs/services as well as French Immersion, International Language, Special Focus and Continuing Education Programs. YCDSB is consistently ranked as one of the top-performing school boards in the province of Ontario. It is governed by ten publicly-elected trustees and has over 8,000 staff, making it one of the region’s largest employers. Under the general direction of the Associate Director of Education, the Superintendent of Human Resources provides leadership in the strategic planning, development, implementation, evaluation and continuous improvement of Human Resources programs, processes and procedures ensuring compliance with applicable legislation as well as Board policies. Ensure Human Resources services are delivered in alignment with the Board’s strategic objectives and initiatives, and in accordance with applicable legislation and collective agreements. 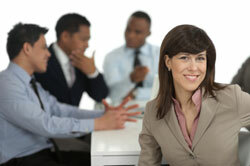 Lead and manage the Human Resources team. Develop and maintain the annual operating budget for Human Resources. Oversee all Human Resources services, employee labour relations, and the implementation of collective agreements, provincial labour and employment legislation, and regulations as well as Board policies and procedures. Supervise and oversee the effective management and initiatives of Employee Health and Safety Services including Chair the Occupational Health & Safety Committee. Oversee the Board’s Privacy & Information Management Program under the Freedom of Information & Protection of Privacy Act. Supervise the effective and efficient operation of Human Resources Information Systems. A minimum of two years of management experience as a Supervisory Officer. An understanding of the Provincial legislation and applicable human resources legislation within an education setting. Excellent organizational skills and the ability to work independently to meet tight deadlines. University Degree with a focus in human resources or a related discipline and/or relevant labour relations experience within an education environment. YCDSB offers a competitive annual compensation package. The Peel District School Board is a recognized leader in helping students learn, achieve success and prepare for the global workplace of the 21st century. We are the second largest school board in Canada, with 153,800 students in 253 schools, serving the communities of Brampton, Caledon and Mississauga. If you are an innovative education leader, seize this opportunity to join our dynamic senior team. We are creating a list of qualified candidates for future leadership positions, and invite applications from individuals who have a Supervisory Officer Certificate, or are currently enrolled in the SOQP and will obtain their certificate no later than August 1, 2020. With an outstanding educational background that includes an excellent performance appraisal within the last 5 years, you will demonstrate a depth and breadth of leadership experiences encompassing a minimum of 5 years’ experience as a Principal. Experience in both the elementary and secondary panels is an asset. An Information Session for prospective applicants will be held at the HJA Brown Education Centre, Inglewood Room, 5650 Hurontario Street, Mississauga, Ontario, L5R 1C6, on Thursday, April 25, 2019, between 4:00 p.m. and 5:30 p.m. Please RSVP to Angela Blake at angela.blake@peelsb.com, by Thursday, April 18, 2019. For detailed information about this opportunity and application details, please visit the job board in the "Jobs" section of our website at www.peelschools.org. We appreciate the interest of all applicants, but will only be interviewing selected candidates based on job-specific criteria. For the safety of students, all school board staff need to have a criminal record check prior to the commencement of employment.